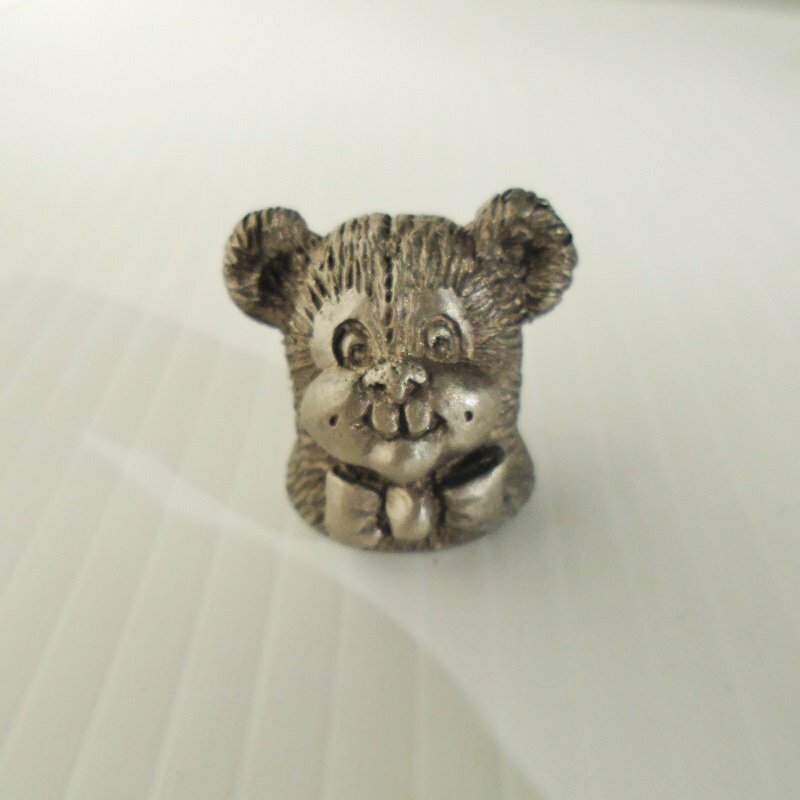 Souvenir pewter thimble featuring a teddy bear head. The bear is smiling and is wearing a bow tie. Signed Spoontiques and dated 1982. Here's one of several souvenir pewter thimbles that I purchased recently at an estate sale. It features a bear head and is signed and dated. The bear is smiling and is wearing a bow tie. It stands 1 inch tall. It is marked Spoontiques on the back and is dated 1982. It would make a great addition to your collection as it's in wonderful condition.